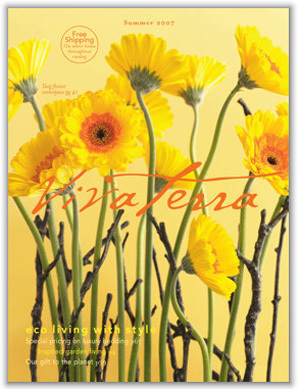 Viva Terra catalog will help you live green and live in beauty. This jem of a catalog you will find unusually beautiful items like amethyst candle holders and recycled glass vases and terrariums. Viva Terra catalog also carries green living items like gemstone plates, organic sheets, blankets, pillows, women's clothing and accessories, gourmet gifts like organic food, furniture, and more.